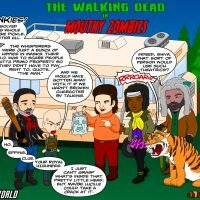 The Walking Dead are people too, at least to Lizzie (Brighton Sharbino), who is essentially the TV version of Ben from The Walking Dead comic book. In “The Grove,” she convinces Tyreese (Chad Coleman) not to kill a zombie on the train tracks. She returns later to feed the zombie rats. Lizzie tells her sister Mika (Kyla Kenedy) that she can hear the zombies talking to her. They just want to make everyone else like them and she considers letting them. 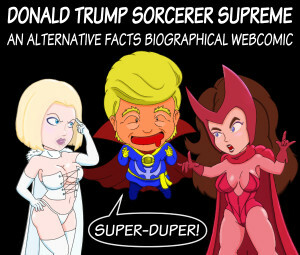 If only she had. Lizzie thinks of the zombies as friends. 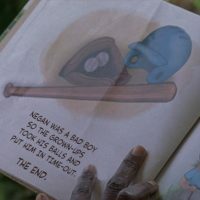 In fact, she plays a game of zombie tag with a walker but when Carol (Melissa McBride) kills her playmate Lizzie snaps. She goes on a truly frightening rant and threatens to kill Carol. Unlike her sister, Mika has no problem killing zombies but she insists killing a living person is wrong even in self defense. She lives up to that ideal when her Lizzie kills Mika in order to turn her into a zombie. 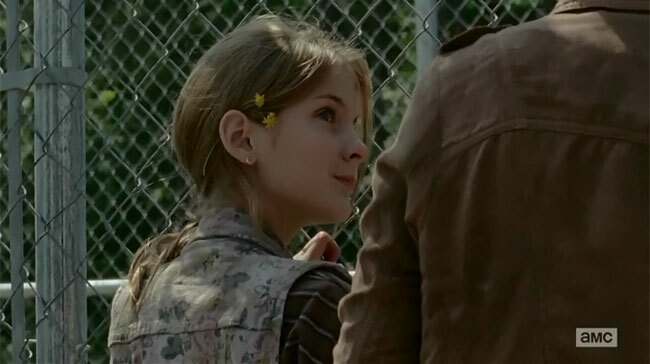 Mika’s death not only parallels that of Ben’s brother but also Carol’s daughter Sophia (Madison Lintz). Carol says Mika doesn’t have “a mean bone in her body” just like Sophia. When Mika says she doesn’t have to kill because she can run, Carol points out that’s what got Sophia killed. Lizzie holds the bloody knife in her hand and tells Tyreese and Carol she was just about to do the same to Judith but Carol convinces her not to because she can’t even walk yet. After all, they’re called walkers right? She humors Lizzie and tells her to pick flowers for when Mika returns but she’s crazy not stupid. Lizzie senses she’s in trouble and begs Carol not to be mad at her. “Everything works out as it’s supposed to,” Carol tells her echoing the words of Mika, which ironically were part of her reasoning for not killing. 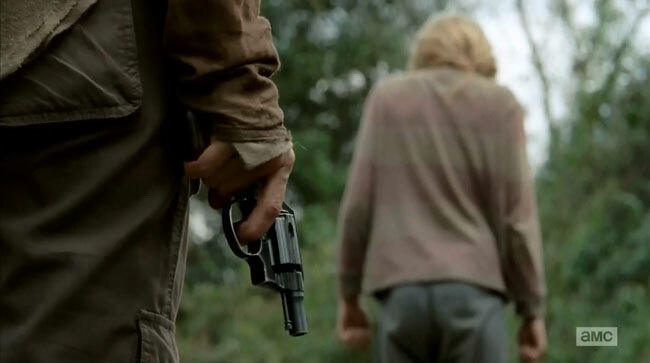 Carol shoots Lizzie in the back of the head while telling her to look at the flowers, which she uses as a coping mechanism. When Lizzie’s father dies from a zombie bite, she tries to stop him from turning but starts to hyperventilate. Mika tells her to look at the flowers and count to three. Lizzie transposes her feelings for her father on a dead zombie she named Nick. “She’s messed up, she’s not weak,” Mika explains. 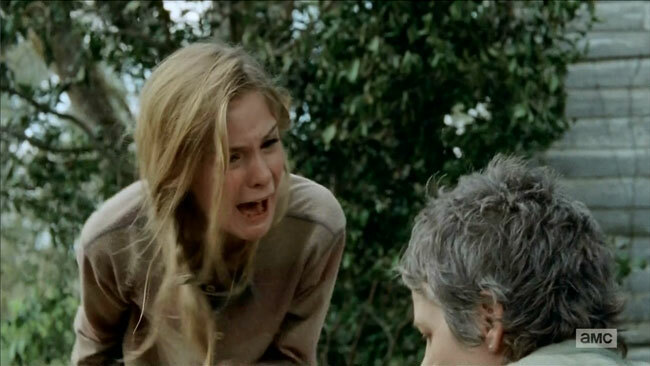 Carol puts a flower in Lizzie’s hair, then Lizzie takes Carol’s knife. Carol smiles, taking it as a sign that she’s toughening up. It’s the same knife Carol used to kill her father and Lizzie ultimately uses on Mika. With nothing left to lose Carol confesses to killing Karen and David. 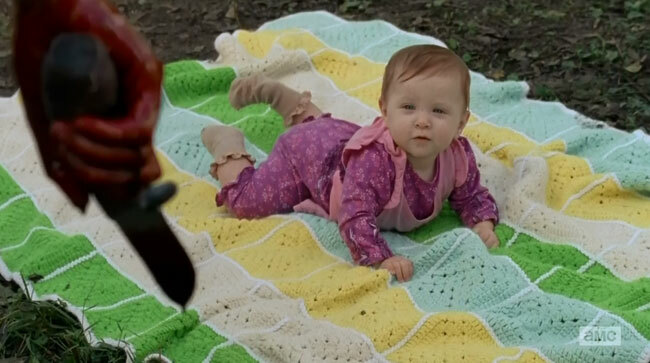 If she looks like she’s about to loose it, there’s a good reason McBride told the Talking Dead. Just before filming the confession scene, director of photography Mike Satrazemis revealed that the unfinished puzzle on the table was a picture of Sophia in her rainbow t-shirt. It seems not even the actors are safe on this show.